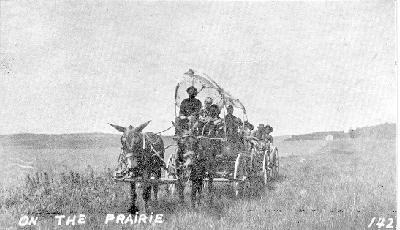 Mules pulling two wagons with people. Blank verso. Measures 5-1/2 x 3-1/4 inches.